Ever since Google got its hands on Motorola Mobility, it was always destined to sharpen its axe and trim off some of those unnecessary bits that were holding the phone company back. This week, some of the company's international websites have been given the chop. Sites from Asia, Europe, the Middle East, Africa, Hong Kong and Taiwan have all been shuttered, with a short message explaining the situation for anyone who arrives. "We are streamlining our business and support systems, and unfortunately, we'll no longer have a dedicated website for [region]. Your local support sites… will remain open, well into the future, and we'll continue to provide support for our products." 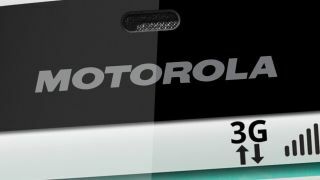 Despite the website closures, Motorola is determined to continue supporting its products throughout the affected regions. It also doesn't restrict the availability of handsets, although having a wider region-based website means it needs the sites to include a footnote that not all handsets will be available in each region. But the closures are hardly a surprising step for Google to take. Despite launching some nice handsets since the Google acquisition like the RAZR M and RAZR i, the company hasn't made any significant strides in market share.